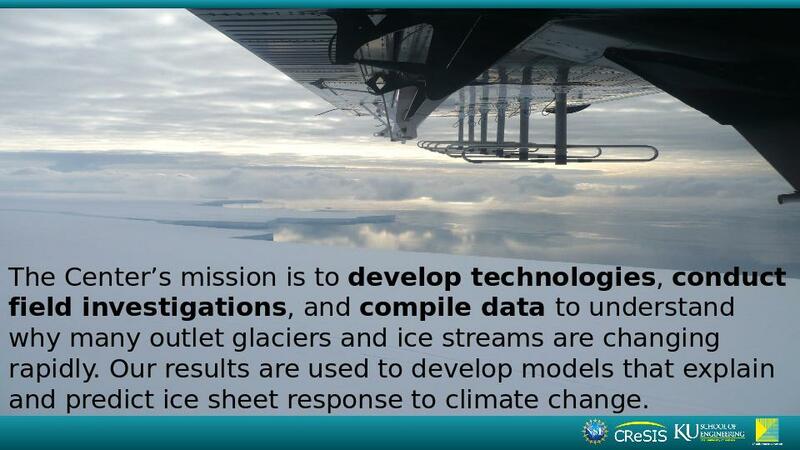 The Center for Remote Sensing of Ice Sheets (CReSIS) is a multidisciplinary Science and Technology Center established by the National Science Foundation (NSF) in 2005, and based at The University of Kansas (KU). 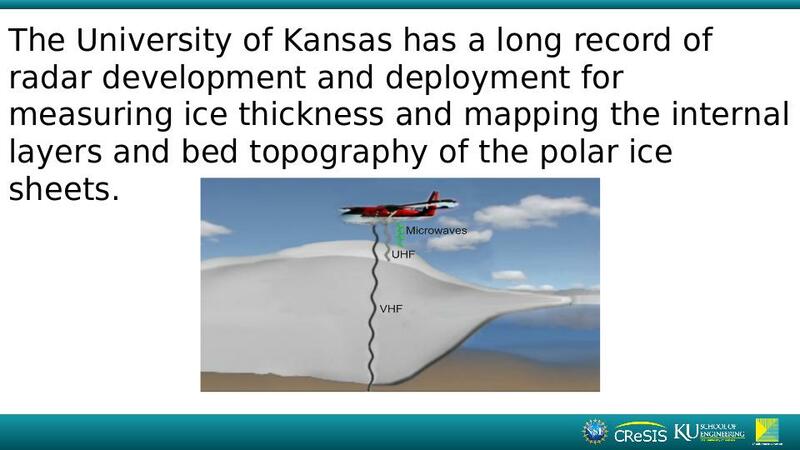 KU has a long record of radar development and deployment for measuring ice thickness and mapping the internal layers and bed topography of polar ice sheets. 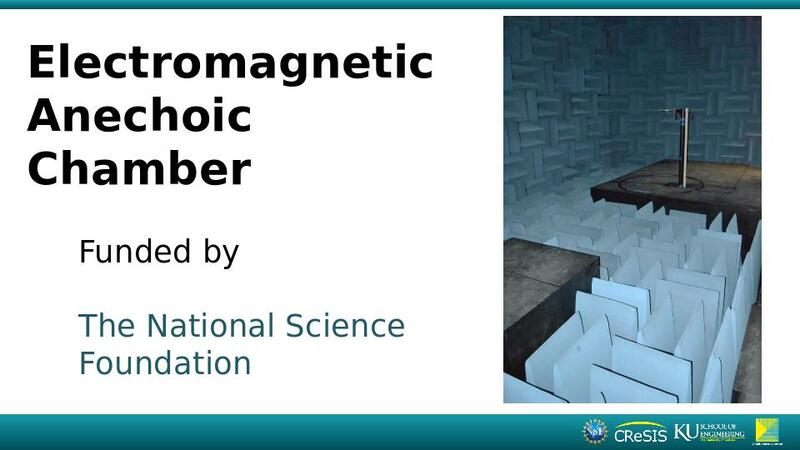 In 2009, the National Science Foundation awarded CReSIS a Major Research Instrumentation (MRI) grant to fund the construction of an Electromagnetic Anechoic Chamber. The primary purpose of the CReSIS Anechoic Chamber is to support the research and development of remote sensing technologies at CReSIS and KU. The Anechoic Chamber also serves as a teaching laboratory for campus courses relating to antennas, EMI/EMC and aerial platforms for ice-penetrating radar. Unique to the region, the Chamber is also available for external hire and to cultivate local industry partnerships and professional networking opportunities for KU and CReSIS students.